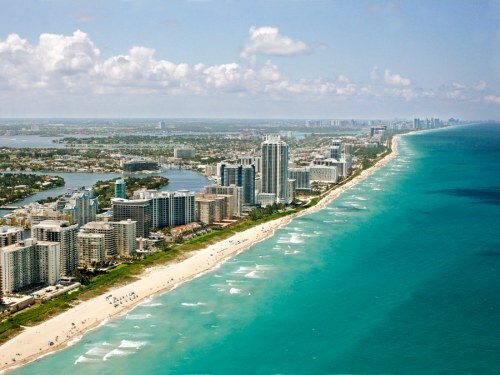 United Airlines has dropped the price of some of their late November and December flights from Calgary to Miami, Florida down to $265 CAD roundtrip including taxes. The flights to Miami have 1 stop each way, in Houston, for 1.5 to 2.5 hours. There are also 1 stop flights from Calgary to Charlotte, North Carolina or Philadelphia, Pennsylvania around similar dates for the same price. Update 11/22 @ 12:30 PM MST - It looks like these have disappeared already. Calgary to Peru, Pittsburgh, Philadelphia, and Charlotte. calgary, yyc, united states, flight deals, charlotte, north carolina, clt, philadelphia, phl, pennsylvania, florida, miami, united airlines, mia and north america. 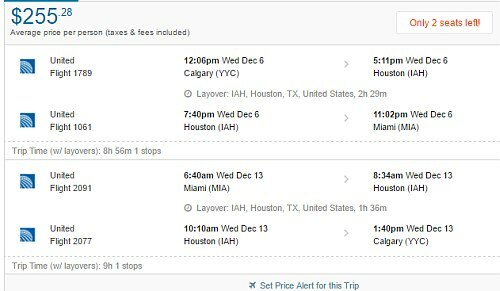 One Response to "Calgary to Miami, Charlotte, or Philadelphia - $255 CAD roundtrip including taxes"
Update 11/22 @ 12:30 PM MST - It looks like these have all disappeared already.